१) राशीनुसार भविष्य असले तरी सुद्धा तुमच्या पत्रिकेनुसार त्यात अजून बदल होतील. २) त्यामुळे वर्तवलेले भविष्य हे in general भविष्य आहे. ३) वाचकांच्या विनंतीमुळे इंग्लिशमध्ये लेख लिहिलेला आहे. Aries – Transit of Jupiter in fourth house in 2015 is considered good and this position indicates happiness as some auspicious ceremony may take place in your family. Investment in Property/Car is on Cards. It will be hard for you to keep balancing between your income and your expenditure. Saturn transit from 8th house will create unnecessary delay and tensions. Mantra for the Year – Take care of your Finance,Investments and Save Money. Taurus – Overall Good Year for Success and Prosperity. The people who are doing business in partnership be careful as possibility of arguments/misunderstanding. Increase in income will tend to invest in Property. Married people avoid unnecessary arguments as it may result into separation from life partner. You may visit Abroad. Mantra for the Year – You should be keen on maintaining relationship with Partner/Wife. Gemini – Jupiter Transit from your second house indicates a new member will join your family soon. This transit will also support your finance. Saturn Transit from your sixth house advice you to keep patience at your workplace. Result of pending court case, if any, will be in your favor. Mantra for the Year – Do not neglect Health Issues like Joint Pains. Cancer – Here is the good news for people who are expecting marriage. You will accomplish your Dreams this year. A new born member’s arrival will make feel you in seventh heaven. Support from Management at workplace help you to grow. Be careful while signing Any Documents. Mantra for the Year – Possibility of Change of Job so be ready for Relocation. Leo – Start of the year will be bit challenging. After the July transit of Jupiter in your Sing will Intensify Spiritual development. Those who are waiting for the time of their marriage will get favorable proposals. Mantra for the Year – Control over Your Language as it might be harsh sometimes. 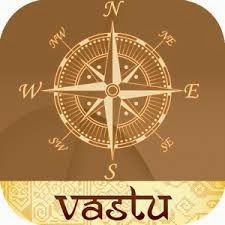 Virgo – Sadesati Period has gone now and the New start for Career is waiting for you. Promotion is on the Cards. Health of mother should be taken care of. Transformation in personality will be possible. You will enjoy the short journeys. Some property matters may create problems after July 2015. Mantra for the Year – Be Firm on Your Decision. Libra – Best Period to Grow your Business but mental tension created in the family may keep you tensed. Seems that you will Visit to religious Places in this year. Mantra for the Year – Be careful about signing any document or legal paper. Scorpio – Transit of Saturn in your sign will sometimes make you disturbed or depressed but Transit Jupiter from ninth house will give Strong Financial Position. Responsibilities at work place will increase so be active. Mantra for the Year – Good period to prove your abilities so don’t avoid responsibilities. Sagittarius – First half of the year will not be favorable but another half will give you auspicious results. Health issues to Mother will keep you tensed. Sadesati has been started from Nov. 2014 and you are already going through Tough period. 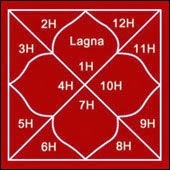 But don’t worry as after Jupiter Transits from ninth house will give you some relief. Mantra for the Year – Keep Control on your Expenses. Mantra of the Year – You have to adjust with people(Family member as well as Colleague) though it is not your cup of tea. Aquarius – From June 2014 Transit Jupiter has been helping you for FInancial Growth but after July 2015 it will create Obstructions. Maintaining the relationships will be a Task for you. You may also get a chance to visit foreign lands in connection with your profession or for the promotion of the business. Pisces – Start of the year will give you Strong Financial Prospects. But later it shows Investments so it will create Financial Crunches. Don’t Easily believe the new person in your circle. Mood swings and urge of changing Job will create Confusions.This year, you have to work hard to achieve your goal.